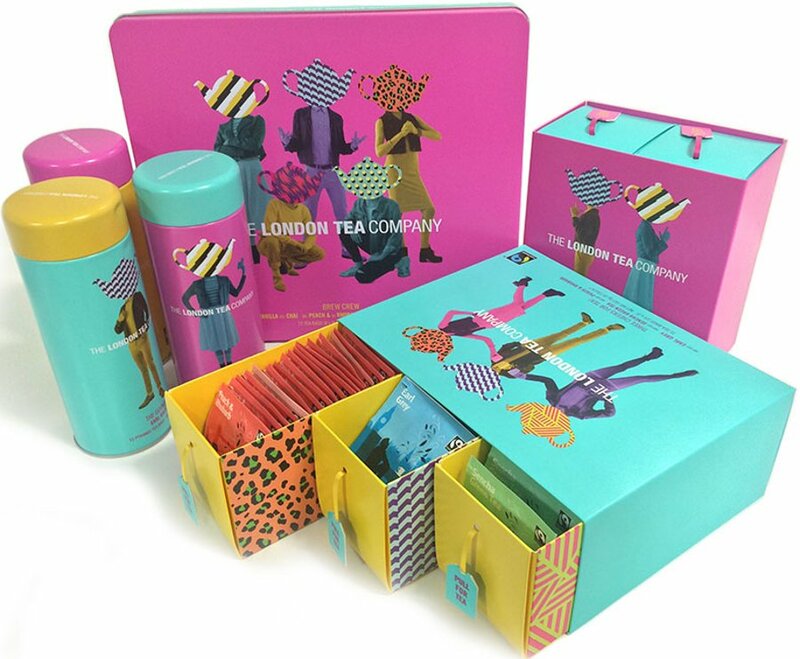 This beautifully bright and well decorated tin is filled with Earl Grey tea bags, the perfect gift for any tea lover. These teas are made with fairly traded ingredients which enables the growers and their communities to develop their businesses and infrastructure and to help them improve their conditions. 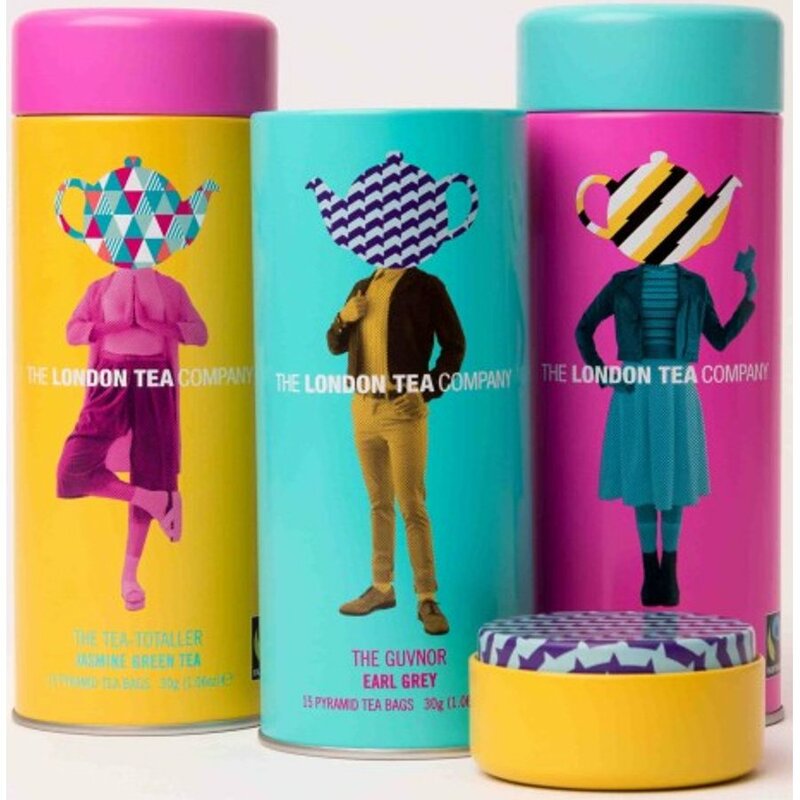 Earl Grey: A blend of bright and flavoursome Fairtrade teas from South India, with natural bergamot to give the blend a refreshing citrus aroma. Lovely with milk or lemon. Pop a bag in your mug, cup or pot and pour over just boiled water. 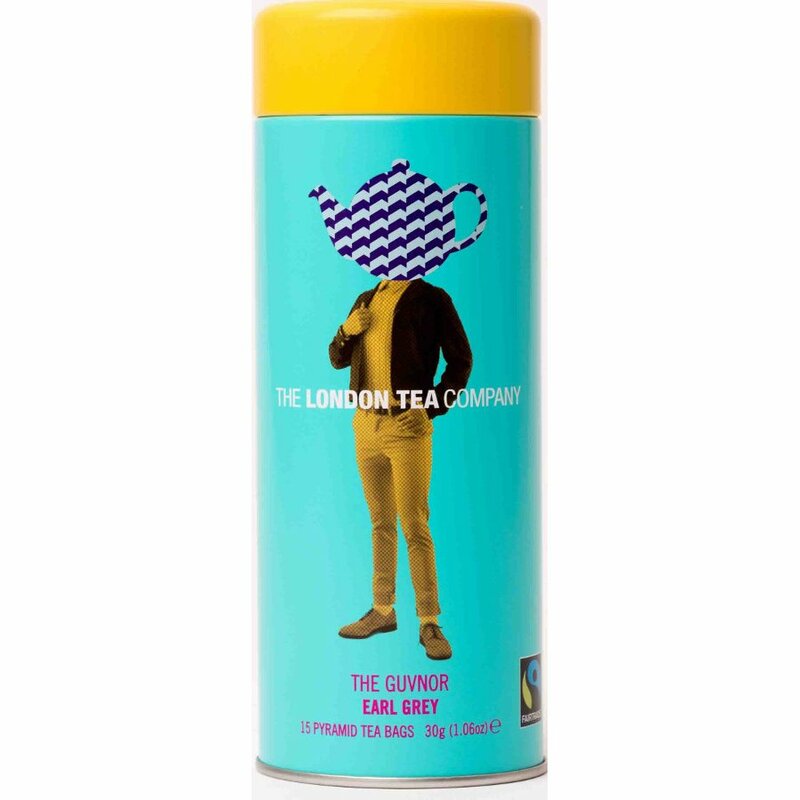 Give it a gentle stir and one to three minutes brewing time… enjoy your delicious cup of tea. Free from artificial colours, flavours and gm ingredients. Supports a charity Cafedirect Producer's Foundation. Packaged in steel and plastic. 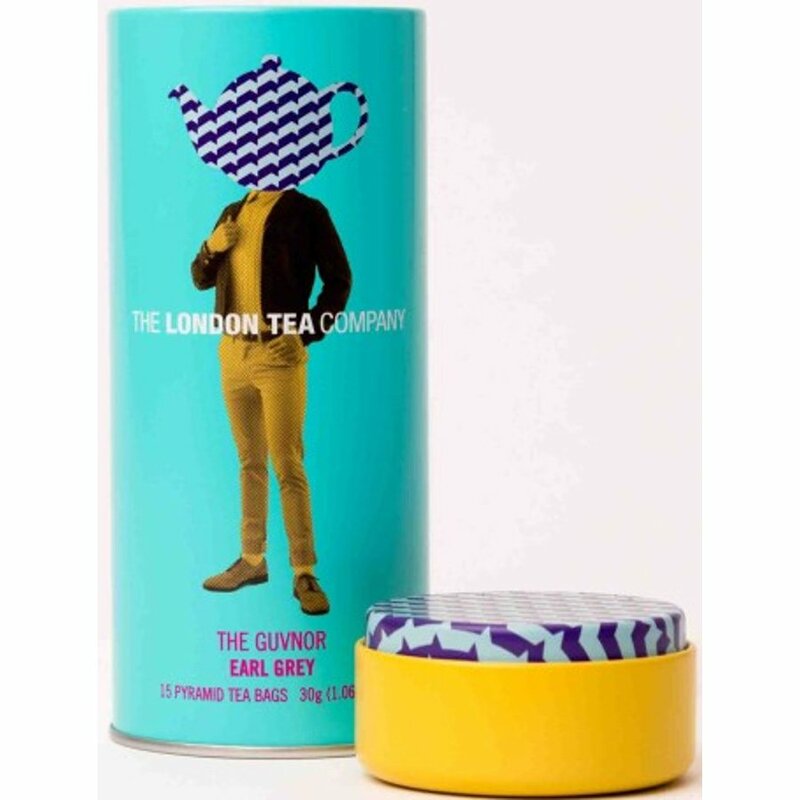 The London Tea Company The Guvnor Earl Grey Pyramid Tea Gift Tin - 15 bags product ethics are indicated below. To learn more about these product ethics and to see related products, follow the links below. 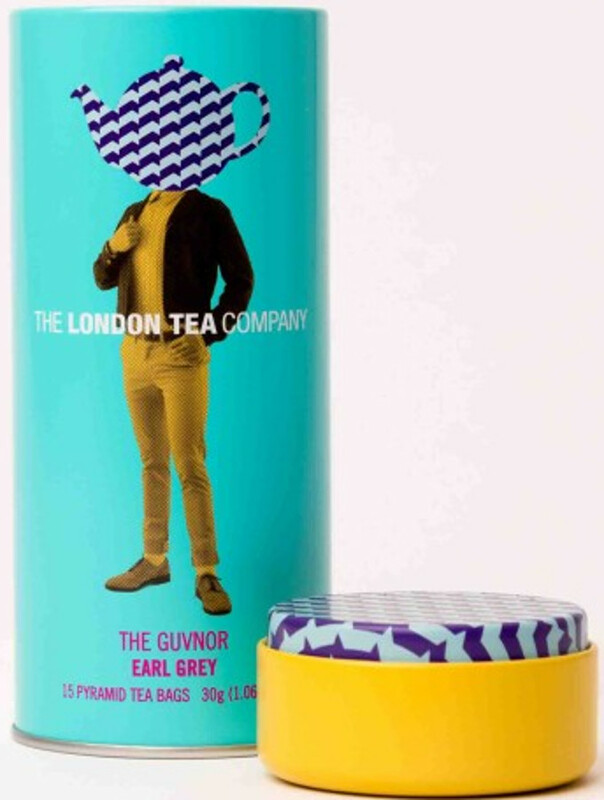 There are currently no questions to display about London Tea Company The Guvnor Earl Grey Pyramid Tea Gift Tin - 15 bags.